Wahl Detailer trimmer review: Is it the Best? Focused on Wahl’s hair clippers, many people forget that the brand also has quite a few professional hair trimmers in stock. The Wahl 5 star Detailer is the most popular of them, no doubt about that. Combining a stylish body with a T-wide blade and powerful output, it’s the tool of choice for many barbers. A variation – the Wahl professional 8290 Detailer, adds some other perks you’ll love. If you’re familiar with Wahl’s 5 star series, you surely know the color preference there. Sporting a burgundy body, mixed with a chrome finish and white parts, the Detailer trimmer adheres to the color scheme. It’s 5″ in size and weighs around 6.9 oz. The material is hard plastic, with the chrome finish on the top ensuring some extra sturdiness. It’s clear what Wahl are shooting for with this 5 star hair trimmer – elegance and stylishness. Many trimmers are powerful enough, but score low in terms of attractiveness. The Wahl Detailer combines both and you’ll be delighted to hold it in your hand. Something to remember: it’s made for 110/120V outlets. As for accessories, you’ll get three Wahl trimmer guides (1/16″, 1/8″ and 1/4″), clipper oil, a cleaning brush and a red blade guard. The 5 star Detailers are furnished with a powerful rotary motor. This gives you just enough cutting strokes per minute to achieve fast, crisp trims and detailed work. Trimmers with rotary motors somehow manage to stay slightly cooler than electromagnetic models. You’ll be delighted to find out the Detailer warms up, but will never get too hot. What defines this Wahl barber trimmer is the unique T-wide #2215 blade. Made of stainless steel, it’s around 1/4″ wider than your usual T-blades. It’s also the reason why you can cover larger areas and trim quickly. With easy to maneuver, lightweight body, you can really get flexible with your trimmings. You can zero gap the Wahl Detailer T-blade if you wish. This will make it cut even closer and sharper. By rule, Wahl blades are easier to zero gap compared to Andis blades, like the GTX T-Outliner ones for example. Let’s do a comparison in this Wahl Detailer Review. The 8290 Detailer trimmer is an offshoot of the 5 star model. At a glance, you’ll see a very clear difference. The professional Detailer hair trimmer ditches the burgundy. Instead, it sports a black and grey body with a shiny chrome look. Cosmetics aside, there’s two main things that distinguish the professional Detailer from its 5 star version. First, the 8290 Detailer on Amazon.com has a narrower T-blade. Instead of the wide #2215 Detailer blade, you get a #1062-600 one. If you want to perform trims on smaller, more delicate areas, it would be easier to maneuver with it. Second, this Detailer trimmer comes with Wahl’s so called “Pro set tools”. The set will help you adjust the barber trimmer to your liking. You will find a zero overlap tool for sharper edge ups too. Beyond this two things and the black color scheme, there really is no need for a separate Wahl professional Detailer review. It performs absolutely the same as the 5 star trimmer. Compared with the benefits you get from this model, its shortcomings aren’t that serious. Yet in the name of objectivity and to make this Wahl Detailer Review reliable, I should mention them. The T-wide blade of the 5 star Detailer can get really sharp, twice so if you decide to zero gap it. If you have sensitive skin, you should be very careful. Don’t press too much when you’re performing your trims, otherwise you’ll irritate your skin. As I mentioned, you’ll get three Wahl guides in terms of accessories. The problem with the wider Detailer T-blade are its specific dimensions. It will be rather hard for you to find other Wahl guards, especially bigger ones. 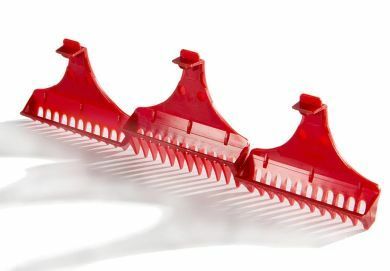 Its narrower than traditional Wahl clipper combs, despite being wide for a T-blade. Last but not least, if you have very big hands, the lightweight, compact body might be a tad inconvenient for you. However, I have to say you must have really large hands for this to become a serious problem. 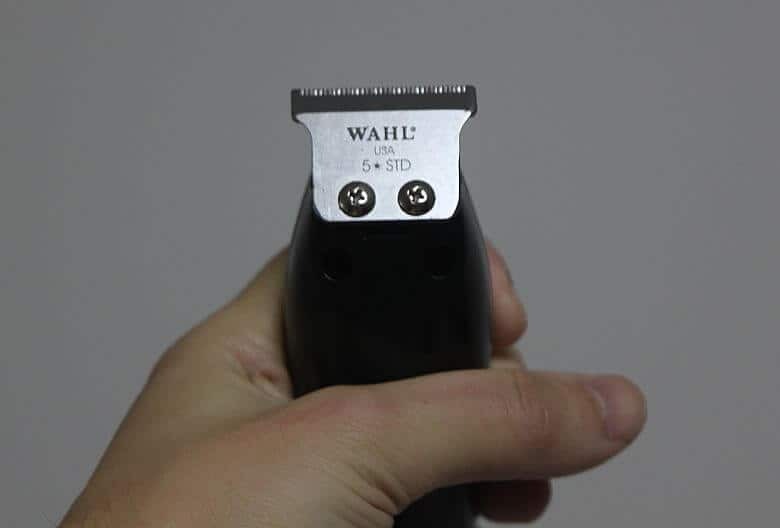 In my humble opinion, the Wahl Detailer is Wahl’s top hair trimmer. While not as popular as, say, Andis T-Outliner trimmer, it’s still a great choice. Usual Andis trimmers might be more powerful, but they overheat easily. The Detailer will stay rather cool and reasonably quiet. Lightweight and stylish, it’s a perfect tool for barbers and casual users alike. Very lucrative in terms of price too, it won’t break your bank. In case you prefer a narrower T-blade, get the professional Detailer. If not, you know what to do. 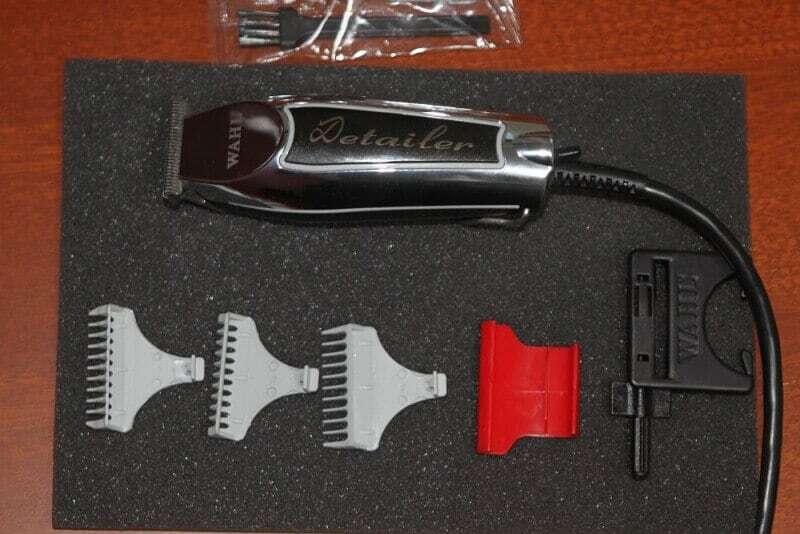 Hope this detailed Wahl Detailer Review gave you all the info you need. Can this be used as a hair Clipper? Basically short and all one length. First, the blade is smaller than a clipper’s one so it’ll take longer. Second, even if you decide to do so, please use the guards. The Detailer’s naked blade is VERY sharp and you can easily cut your scalp. Especially if it’s your first time cutting your hair. Honestly, these are mainly used for detailing/beard or mustache trims and such tasks. I’ve certainly seen people who were satisfied with trying them out on their head, but others found the process frustrating. Thanks for the reply Alex. After reading the reviews on here and finding a reasonable price (in Australia) I purchased the wahl legend. Just wanted something that I didn’t have to worry too much about getting my thick and dense hair caught, which pretty much happens every stoke with my current Clipper haha. Forgot to mention I thought these might be a good option as I read rotary motors are generally more powerful than electromagnetic ones. But it looks like the wahl rotarys are less powerful than the v9000 and hence more risk of catching? Great choice on the Legend, it’s a great all around clipper imho. I’m not sure how things are in Australia, but some countries are unfortunately very limited in their clipper choice. Another reader we had noted that in Indonesia, the Magic Clip for example even gets a V5000 motor instead of the US model that has a V9000 one! If you go to the UK Amazon for example, you’ll see what a great difference of models there is. Probably 40% of the US Amazon isn’t present there! Yes, in Wahl’s case it’s V9000 > rotary > V5000 in terms of power. It should serve you well! The blade is especially great, awesome for tapering/fades. What a mess…And having no Oster models is a shame, I know Ryan would be pissed off given how much he loves the Classic 76. I wonder if it’s about the voltage or just the regular market segmentation…All I know is that both you and some of our readers made me realize how different the clippers market is depending on the country! For example, in Europe Wahl have the Moser brand and they distribute their models mainly through that one. Maybe at one point we’ll do an extensive research on these differences and compile them in a post or something. Good food for thought. Thanks for the heads up and cheers! Can it be used for balding out? I know a lot of people use the T-Outliner for the transition between the shaver and a closed clipper without guards, and seeing how this is essentially the same thing then I’d assume so.